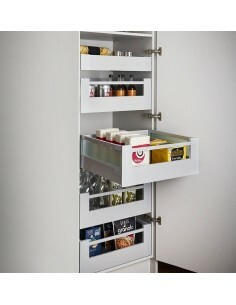 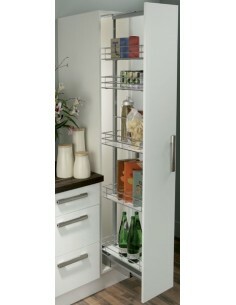 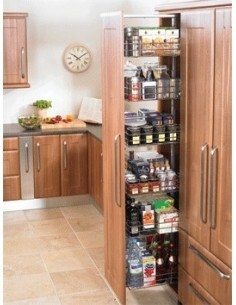 One of the most popular size of pull out larders. 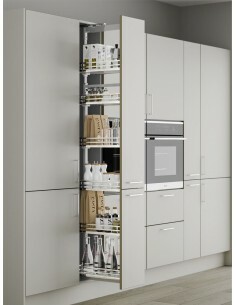 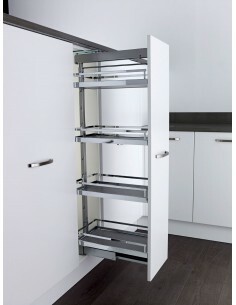 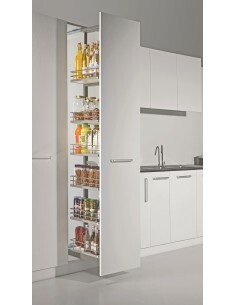 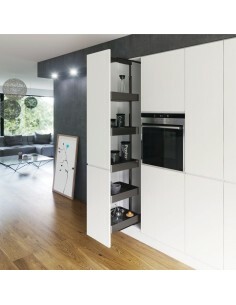 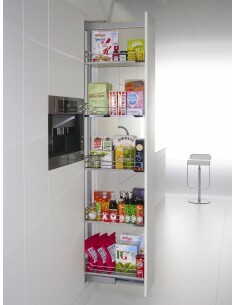 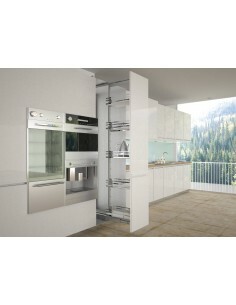 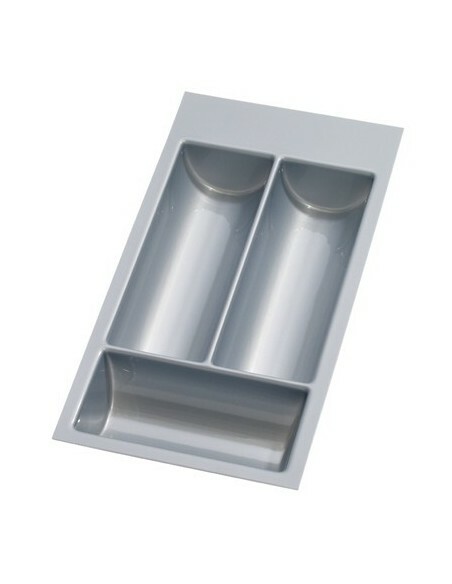 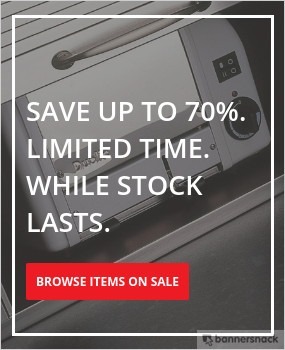 The 300mm versions are ideal for one of the smallest size of a kitchen unit. 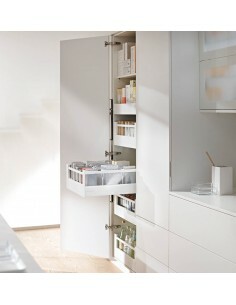 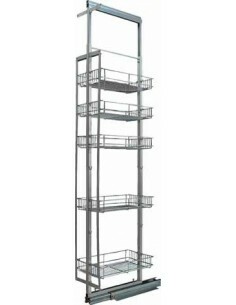 Enabling narrow units to be utilised to their maximum. 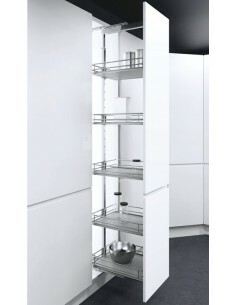 1700-1950mm Height. 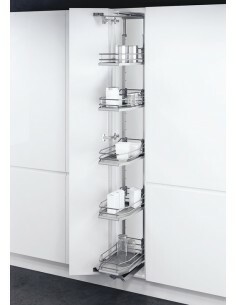 Five Adjustable Chrome Linear Basket With Mounting Frame, Centre Mounting. 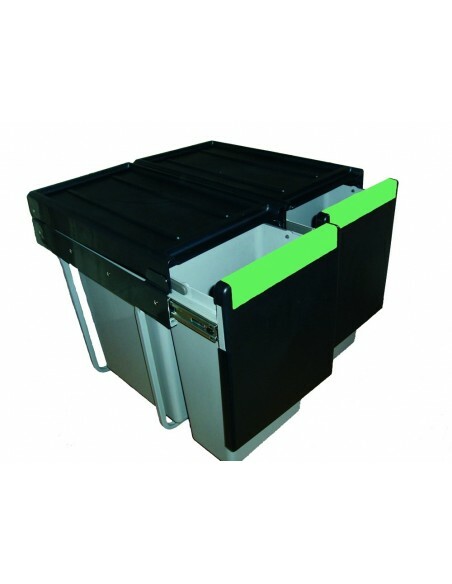 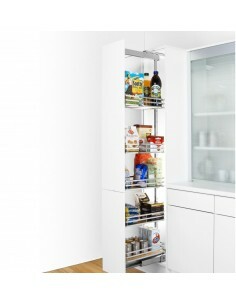 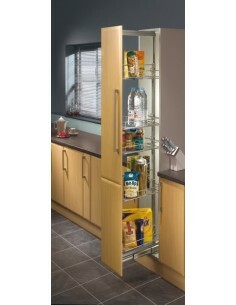 1690-2090mm, Centre Mounted, 100 Kg Load Capacity, Complete Larder Set.